The world of werewolves is fear made flesh. Pain, terror and hatred all take physical form, and all hunt for prey. The Forsaken are well aware of these horrific threats, and pit themselves against their enemies when the moon rises. But are werewolves the predators... or are they the prey? An antagonists supplement for Werewolf: The Forsaken, Predators contains a horde of threats to pit against the werewolves of your chronicle. Inside are details on spirit foes from beyond the Gauntlet, and the Ridden they possess. 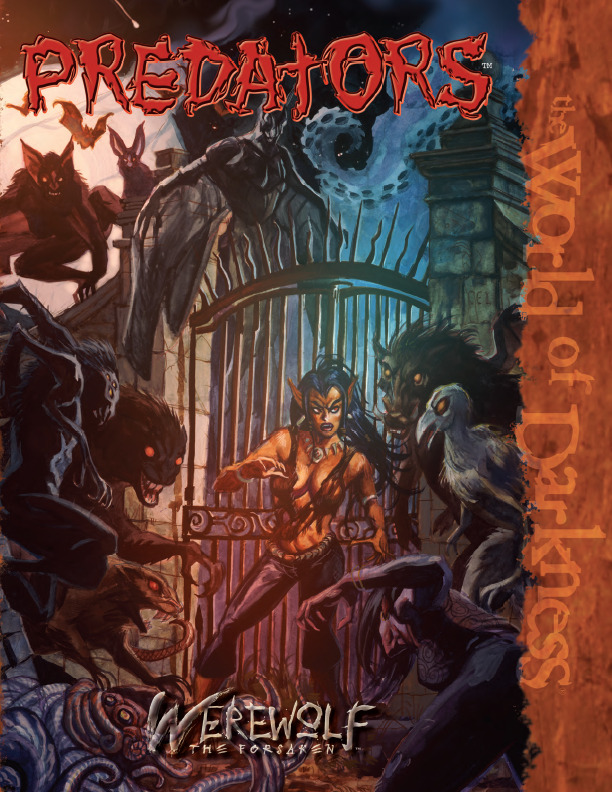 Also included is information on the mad Rat and Spider Hosts, and on monstrous foes from the darkest past. Whether you need foes for a short and brutal encounter or a long and harrowing hunt, nothing fits the bill like a book full of predators. Why is the PDF not available for purchase? This title was added to our catalog on June 27, 2005.